Jordan, trans. Jordan, stamp collecting, stamp, stamps, hobby, collect, collector, Jordan, philately, dealer, philatelic, postage, mail, collectibles, postal history, Mint, never hinged, used, souvenir sheets, errors, revenue stamps, block, philately, philately, king Hussein, king abdullah II, queen, prince, topical, thematic, perforation All Jordanian stamps, souvenir sheets, errors, revenue stamps and every stamp issued in Jordan until now along with pictures and scans for each stamp Stamps of Jordan, Kings & Queens on stamps, Birds stamps, Political stamps & a lot more on stamps. Jordan, trans. Jordan, stamp collecting, stamp, stamps, hobby, collect, collector, Jordan, philately, dealer, philatelic, postage, mail, collectibles, postal history, Mint, never hinged, used, souvenir sheets, errors, revenue stamps, block, philately, philately, king Hussein, king abdullah II, queen, prince, topical, thematic, perforation All Jordanian stamps, souvenir sheets, errors, revenue stamps and every stamp issued in Jordan until now along with pictures and scans for each stamp Stamps of Jordan, Kings & Queens on stamps, Birds stamps, Political stamps & a lot more on stamps. Jordan, trans. Jordan, stamp collecting, stamp, stamps, hobby, collect, collector, Jordan, philately, dealer, philatelic, postage, mail, collectibles, postal history, Mint, never hinged, used, souvenir sheets, errors, revenue stamps, block, philately, philately, king Hussein, king abdullah II, queen, prince, topical, thematic, perforation All Jordanian stamps, souvenir sheets, errors, revenue stamps and every stamp issued in Jordan until now along with pictures and scans for each stamp Stamps of Jordan, Kings & Queens on stamps, Birds stamps, Political stamps & a lot more on stamps. Jordan, trans. 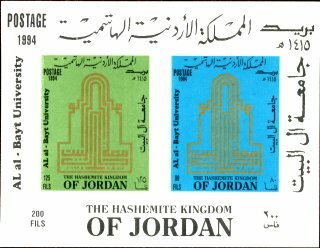 Jordan, stamp collecting, stamp, stamps, hobby, collect, collector, Jordan, philately, dealer, philatelic, postage, mail, collectibles, postal history, Mint, never hinged, used, souvenir sheets, errors, revenue stamps, block, philately, philately, king Hussein, king abdullah II, queen, prince, topical, thematic, perforation All Jordanian stamps, souvenir sheets, errors, revenue stamps and every stamp issued in Jordan until now along with pictures and scans for each stamp Stamps of Jordan, Kings & Queens on stamps, Birds stamps, Political stamps & a lot more on stamps. Jordan, trans. Jordan, stamp collecting, stamp, stamps, hobby, collect, collector, Jordan, philately, dealer, philatelic, postage, mail, collectibles, postal history, Mint, never hinged, used, souvenir sheets, errors, revenue stamps, block, philately, philately, king Hussein, king abdullah II, queen, prince, topical, thematic, perforation All Jordanian stamps, souvenir sheets, errors, revenue stamps and every stamp issued in Jordan until now along with pictures and scans for each stamp Stamps of Jordan, Kings & Queens on stamps, Birds stamps, Political stamps & a lot more on stamps. Jordan, trans. Jordan, stamp collecting, stamp, stamps, hobby, collect, collector, Jordan, philately, dealer, philatelic, postage, mail, collectibles, postal history, Mint, never hinged, used, souvenir sheets, errors, revenue stamps, block, philately, philately, king Hussein, king abdullah II, queen, prince, topical, thematic, perforation All Jordanian stamps, souvenir sheets, errors, revenue stamps and every stamp issued in Jordan until now along with pictures and scans for each stamp Stamps of Jordan, Kings & Queens on stamps, Birds stamps, Political stamps & a lot more on stamps. Jordan, trans. 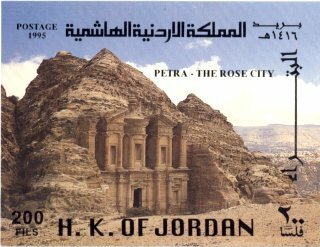 Jordan, stamp collecting, stamp, stamps, hobby, collect, collector, Jordan, philately, dealer, philatelic, postage, mail, collectibles, postal history, Mint, never hinged, used, souvenir sheets, errors, revenue stamps, block, philately, philately, king Hussein, king abdullah II, queen, prince, topical, thematic, perforation All Jordanian stamps, souvenir sheets, errors, revenue stamps and every stamp issued in Jordan until now along with pictures and scans for each stamp Stamps of Jordan, Kings & Queens on stamps, Birds stamps, Political stamps & a lot more on stamps. Jordan, trans. Jordan, stamp collecting, stamp, stamps, hobby, collect, collector, Jordan, philately, dealer, philatelic, postage, mail, collectibles, postal history, Mint, never hinged, used, souvenir sheets, errors, revenue stamps, block, philately, philately, king Hussein, king abdullah II, queen, prince, topical, thematic, perforation All Jordanian stamps, souvenir sheets, errors, revenue stamps and every stamp issued in Jordan until now along with pictures and scans for each stamp Stamps of Jordan, Kings & Queens on stamps, Birds stamps, Political stamps & a lot more on stamps. Jordan, trans. Jordan, stamp collecting, stamp, stamps, hobby, collect, collector, Jordan, philately, dealer, philatelic, postage, mail, collectibles, postal history, Mint, never hinged, used, souvenir sheets, errors, revenue stamps, block, philately, philately, king Hussein, king abdullah II, queen, prince, topical, thematic, perforation All Jordanian stamps, souvenir sheets, errors, revenue stamps and every stamp issued in Jordan until now along with pictures and scans for each stamp Stamps of Jordan, Kings & Queens on stamps, Birds stamps, Political stamps & a lot more on stamps. Jordan, trans. Jordan, stamp collecting, stamp, stamps, hobby, collect, collector, Jordan, philately, dealer, philatelic, postage, mail, collectibles, postal history, Mint, never hinged, used, souvenir sheets, errors, revenue stamps, block, philately, philately, king Hussein, king abdullah II, queen, prince, topical, thematic, perforation All Jordanian stamps, souvenir sheets, errors, revenue stamps and every stamp issued in Jordan until now along with pictures and scans for each stamp Stamps of Jordan, Kings & Queens on stamps, Birds stamps, Political stamps & a lot more on stamps. Jordan, trans. Jordan, stamp collecting, stamp, stamps, hobby, collect, collector, Jordan, philately, dealer, philatelic, postage, mail, collectibles, postal history, Mint, never hinged, used, souvenir sheets, errors, revenue stamps, block, philately, philately, king Hussein, king abdullah II, queen, prince, topical, thematic, perforation All Jordanian stamps, souvenir sheets, errors, revenue stamps and every stamp issued in Jordan until now along with pictures and scans for each stamp Stamps of Jordan, Kings & Queens on stamps, Birds stamps, Political stamps & a lot more on stamps. Jordan, trans. Jordan, stamp collecting, stamp, stamps, hobby, collect, collector, Jordan, philately, dealer, philatelic, postage, mail, collectibles, postal history, Mint, never hinged, used, souvenir sheets, errors, revenue stamps, block, philately, philately, king Hussein, king abdullah II, queen, prince, topical, thematic, perforation All Jordanian stamps, souvenir sheets, errors, revenue stamps and every stamp issued in Jordan until now along with pictures and scans for each stamp Stamps of Jordan, Kings & Queens on stamps, Birds stamps, Political stamps & a lot more on stamps. Jordan, trans. 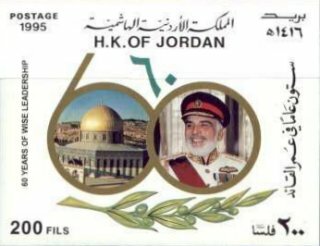 Jordan, stamp collecting, stamp, stamps, hobby, collect, collector, Jordan, philately, dealer, philatelic, postage, mail, collectibles, postal history, Mint, never hinged, used, souvenir sheets, errors, revenue stamps, block, philately, philately, king Hussein, king abdullah II, queen, prince, topical, thematic, perforation All Jordanian stamps, souvenir sheets, errors, revenue stamps and every stamp issued in Jordan until now along with pictures and scans for each stamp Stamps of Jordan, Kings & Queens on stamps, Birds stamps, Political stamps & a lot more on stamps.